Get 10 or more pot lights, installed, at $84.00 each, All materials included, no hidden costs. This coupon is valid only for electrical services provided in Oakville, Burlington, Hamilton, Mississauga. Minimum 10 pot lights. Coupons apply only to regular priced rates and is not valid with any other coupons, offers or discounts. Only one Coupon per customer. This coupon has no cash value. Pot Lights are perfect for any room in your home when expertly designed and installed. Whether it's your living room, kitchen, dinning room, rec room, studio, bedroom or bathroom, pot lights can make any of them look more vivid. All this while requiring less maintenance, our pot lights last four to fives as long as fluorescent lights do. The savings in your hydro bill can make these lights pay for themselves. They are also eco-friendly and don't use toxic materials such as mercury. Let our experts help you design your dream home. We'll help you choose the perfect lighting for your renovation project. 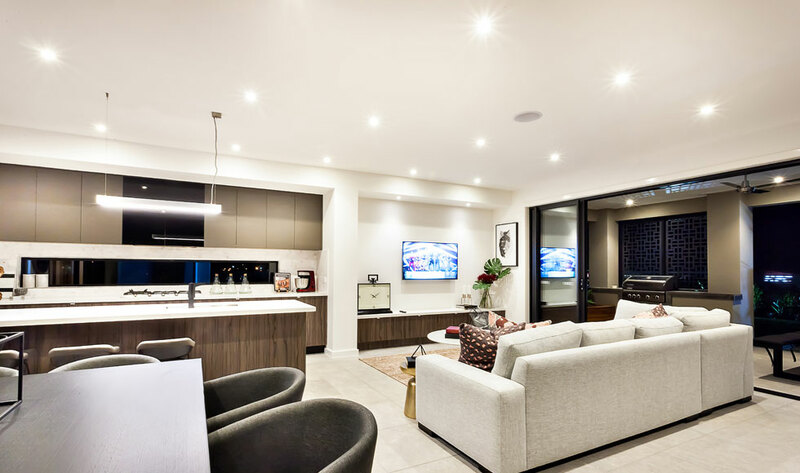 Whether it's direct lighting from pot lights, recessed indirect lighting, having some spaces with direct ceiling lighting, or other possible options. Your home or office will look fantastic with the proper lighting. Our pricing includes all materials, travel time and labour. There are no hidden costs. 1 $280.00 ea. $249.00 ea. 2 $170.00 ea. $149.00 ea. 3 $150.00 ea. $134.00 ea. 4 $150.00 ea. $124.00 ea. 5 $150.00 ea. $109.00 ea. 6 $120.00 ea. $104.00 ea. 7 $120.00 ea. $99.00 ea. 8 $120.00 ea. $94.00 ea. 9 $110.00 ea. $89.00 ea. 10 $105.00 ea. $84.00 ea. 11 $105.00 ea. $83.00 ea. 12 $105.00 ea. $82.00 ea. 13 $105.00 ea. $81.00 ea. 14 $105.00 ea. $80.00 ea. 15+ $105.00 ea. $79.00 ea. * Price do not include HST. Price is quoted for installation during regular business hours. In case you require the job to be performed during after hours, on Sundays or Holidays we will quote your the additional charges. Please check out our coupons page for the latest promotional offers. See photos of our recent projects including residential electrical service panel upgrades. Please contact Colony Electrical for all your lighting needs.